THRILL Compact PAR 64 LED is a perfect fit for musicians, DJs, event specialists and home enthusiasts who want to spend their time focused on entertaining, rather than setting up and controlling complex equipment. For a literal plug and play experience, THRILL Compact PAR 64 LED features a built-in microphone—simply turn on the sound trigger and let the beat of your music THRILL your audience. In addition, the fixture has four professionally programmed, preset shows that can be run with no lighting experience required. Not all lights are created equal. With the THRILL Compact PAR 64 LED we decided to up the ante by offering additional LED emitters so that you can be more creative. We have added amber and UV LEDs that truly punch. The amber LEDs spread a nice warm front light for illuminating your presenters or band members, while the UV filter ensures that the party can keep glowing all night. 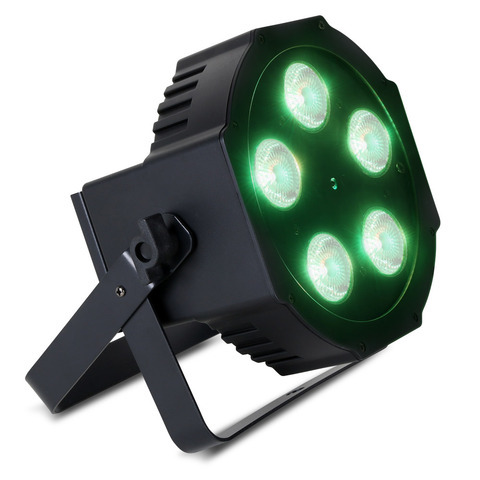 Its portable and lightweight design and included remote, makes THRILL Compact PAR 64 LED ideal for on-the-go entertainers and small venues working with limited stage footprints. It’s also perfect for rental companies who want to supply lighting solutions for smaller setups that do not have the budget for professional lighting operators. Featuring a sit-flat design, the THRILL Compact PAR 64 LED can sit perfectly flat on the ground with its cabling directed to the sides. This gives you the freedom to fit the fixture into tighter spaces, such as underneath tables or for uplighting purposes to illuminate structures at 90 degrees with little hassle. 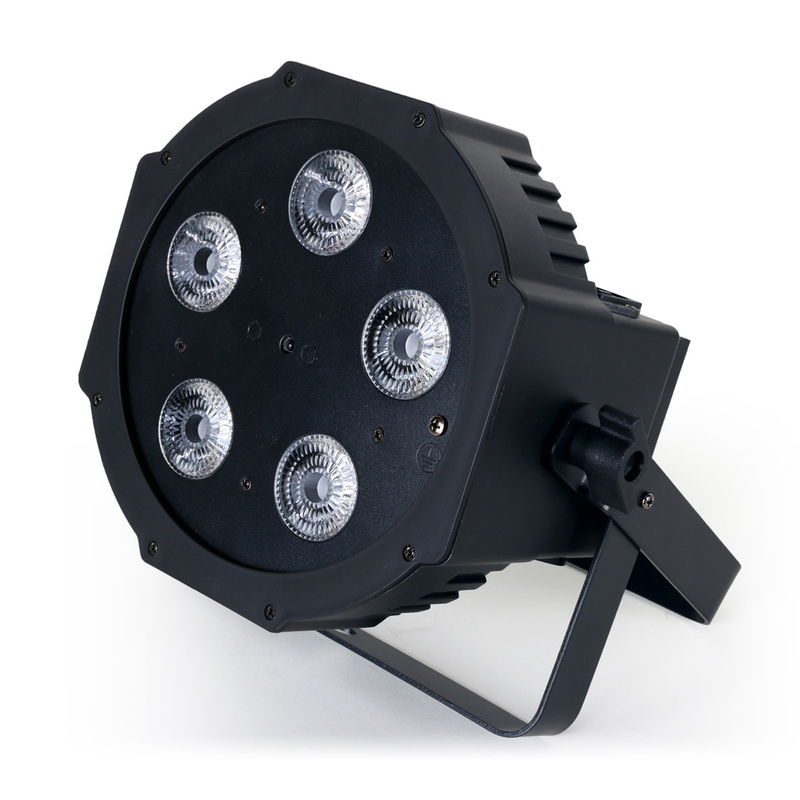 With the THRILL Compact PAR 64 LED, setup has never been easier. Layout up to 32 fixtures in a master/slave configuration and quickly daisy chain their power and data connections together. 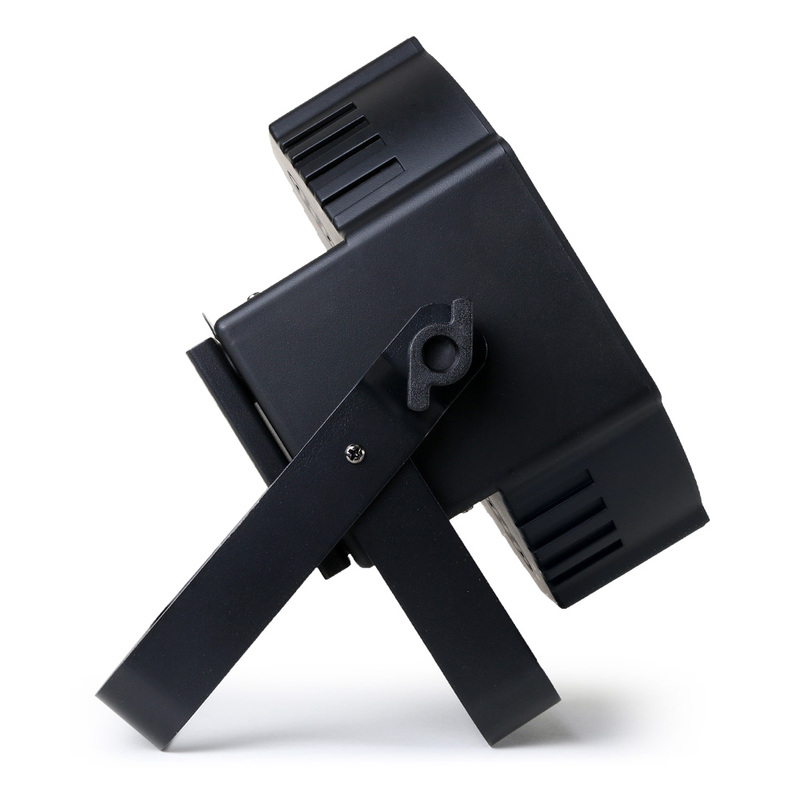 For added flexibility, Compact PAR 64 LED can be used as either a hanging fixture or a floor-standing light via the included multi-function hanging bracket. Control is easy too. The included IR remote control gives you the freedom to simply assign colors to the fixture or you can run the automated lightshows mentioned above. 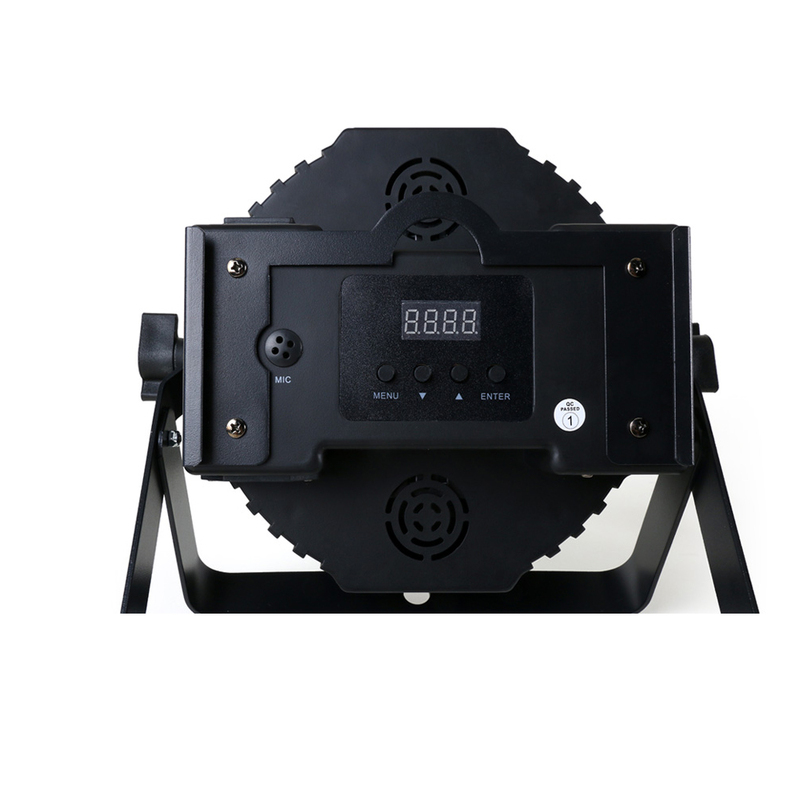 The fixtures can also be used as part of a complete DMX system with an integrated controller such as a Martin M-Touch and free M-PC control software. It’s easy to add warmth and washes of light to your live experience with the THRILL Compact PAR 64 LED. ElectricalAC power: 100-240 V nominal, 50/60 HzFuse: F 3 AL, 250 VTypical total power consumption: 50 WMaximum number of fixtures on AC power throughput, 100-130 V: 6 x THRILL Compact PAR 64 LED or 3 AMaximum number of fixtures on AC power throughput, 220-240 V: 10 x THRILL Compact PAR 64 LED or 3 APower consumption figures are typical, not maximum. Allow for +/-10% variation. Typical Power and Current110 V, 60 Hz: 0.5 A, 50 W *230 V, 50 Hz: 0.3 A, 50W **Measurements made at nominal voltage with all LEDs at full intensity. Allow for a deviation of +/- 10%. ThermalCooling: Forced air, temperature-regulatedMaximum ambient temperature (Ta max. ): 40° C (104° F)Minimum ambient temperature (Ta min. ): 0° C (32° F)Total heat dissipation (calculated, +/- 10%) at full intensity, full white: 170 BTU/hr.